There's more coming. 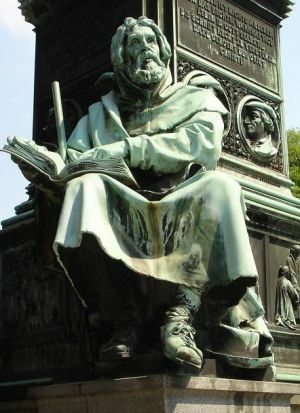 You'll find a description of the origin of the Waldensians on the late Medieval Christianity page already, but I intend to add their Waldensian Confession of 1655 and a description of their doctrines before their influence by John Calvin, who originally objected to them due to their emphasis on merit that he did not feel left room for justification by faith in Christ. For now, though, I just had to get up this description of their treatment during the Protestant Reformation at the hand of the Roman Catholics. [The Waldensians] sent a deputation of two of their pastors, in 1530, to [several major Reformation cities] for information concerning the principles of the Reformation, and made common cause with the Protestants. They were distinguished for industry, virtue, and simple, practical piety, but their heresy attracted the attention of the authorities. They were cited before the Parliament of Aix [France, under Roman Catholic rule], and the heads of their families were condemned to death in November, 1540. The execution of this sentence was delayed till the king's wishes should be ascertained. In February, 1541, Francis granted them pardon for the past, but required them to recant within three months. Keep in mind that the Peter Waldo had been excommunicated way back in 1184, and Waldensian doctrines had been condemned by a council in 1215. For the Roman Catholics, there was no discussion to be had. They adhered to their faith. On the 28th of April, 1545, a fiendish scheme of butchery—under the direction of Baron d'Oppede, military governor of Provence, and Cardinal Tournon, the bigoted and bloodthirsty archbishop of Lyons—was carried out against these innocent people. Their chief towns of Merindol and Cabrieres, together with twenty-eight villages, were destroyed, the women outraged [i.e., raped], and about four thousand persons slaughtered. This outrage against the Waldensians was carried out with the blessing of the pope. A cardinal is the next rank below pope in the Roman Catholic hierarchy. Supposedly, men like Cardinal Tournon pass on true apostolic authority to their successors, and because of this apostolic succession, all Christians are supposed to submit to the leadership of the local Roman Catholic clergy and their superiors in Rome, who are God's infallible representatives on earth (only when they speak ex cathedra, of course). That anyone could even suggest such a thing is preposterous. However, the doctrine of apostolic succession was never taught by any early churches until centuries after Christ, so it wasn't true even before the butchery began. Great numbers of the Waldenses sought refuge in flight. The noble and humane Bishop Sadolet of Carpentras, [later cardinal and opponent of John Calvin] received them kindly, and interceded for them with the king. Four thousand went to Geneva [Switzerland, where John Calvin was leading the church]. Calvin started a subscription for them, provided them with lodging and employment at the fortifications, and made every effort to get the Swiss Cantons to intercede with King Francis in behalf of those Waldensians who remained in France. He even traveled to Bern, Zurich, and Aarau for this purpose. He even intended to go to Paris, but was prevented by sickness. The end of the story of the Waldensians is that they continued to be persecuted by the Roman Catholics for another 200 years, but they entered into fellowship with those of the Swiss Reformation. 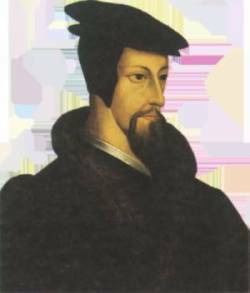 Many of their pastors were educated at Calvin's Academy in Geneva, and the Waldensian Confession of 1655 is both Calvinistic and based on the Reformed churches' Gallican Confession of 1559. As I said, more later. I want to get a better picture of the Waldensian churches today, and I would love to have the contribution of any current Waldensian member for that. Please use the Contact Me button to the left. I would be extremely grateful and provide whatever link and credit you might ask. The benefit for me is a firsthand account of the Waldensian churches today. The benefit for you is a description done by a Waldensian and not an outsider like me.